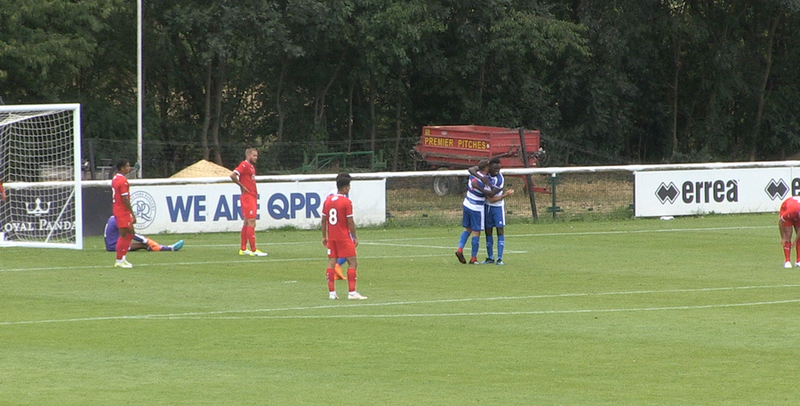 GRANT Hall came through 45 minutes of action unscathed as QPR beat Swindon Town 3-2 in a behind-closed-doors friendly at Harlington on Tuesday afternoon. The 26-year-old centre-back was given the all-clear by his specialist last week to step up his training following knee surgery in February. This run-out against the League Two side provided Hall with his first taste of match action in almost seven months. R’s boss Steve McClaren used the fixture to give match minutes to players who hadn’t seen much game time in the weekend win over Union Berlin. Paul Smyth gave Rangers the lead early on before the visitors levelled through Jermaine McGlashan. Idrissa Sylla and David Wheeler netted either side of the half-time break to make it 3-1 to QPR but Scott Twine pulled one back late on for the Robins. The R’s started the game brightly and almost went ahead in the second minute when Smyth pulled the ball back from the byline for Conor Washington, but he saw his shot from a tight angle well saved by Lawrence Vigouroux. On four minutes, Swindon had a chance of their own when Kyle Knoyle’s cross from the right was volleyed into the ground by Elijah Adebayo before looping over Joe Lumley’s crossbar. QPR took the lead on 13 minutes in stunning fashion when Ilias Chair fed the ball to the right for Smyth and he took a touch before slamming the ball beyond Vigouroux from 20 yards. Sylla almost doubled that advantage after half an hour when he was put through by Chair, but his effort whizzed just wide of the upright. QPR enjoyed much of the possession but Swindon were on level terms in the 36th minute when the R’s got caught as they looked to play out from the back. 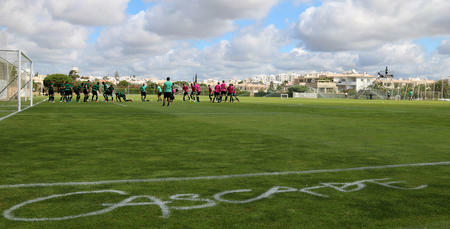 The visitors retrieved possession and quickly switched the play to the right for McGlashan to stroke the ball home. Parity lasted only four minutes, however, as Sylla showed a real turn of pace down the right flank to get beyond the Swindon fullback before firing under the body of Vigouroux from close range. While the visitors played a completely new XI after the break, Rangers only made the one change with Hall being replaced by a trialist. Joe Lumley was called into action shortly after the restart, making a good double-save to preserve QPR’s lead while David Wheeler quickly got into the game after coming on in the 50th minute. Having been on the pitch just five minutes, the former Exeter man saw his close-range effort well saved by Luke McCormick. On the hour-mark, McClaren made a number of changes which meant it was a very young side which played out the remaining 30 minutes against the Robins. Aramide Oteh, another second-half substitute, went close to increasing QPR’s lead but his shot from distance flew narrowly wide while Wheeler forced another good stop by McCormick and Oteh could only divert the rebound wide. But on 72 minutes Wheeler did manage to get on the scoresheet as he latched onto Charlie Fox’s ball from the back before coolly firing beyond the Swindon keeper. With eight minutes remaining, Scott Twine pulled one back for Swindon but the R’s saw the game out. 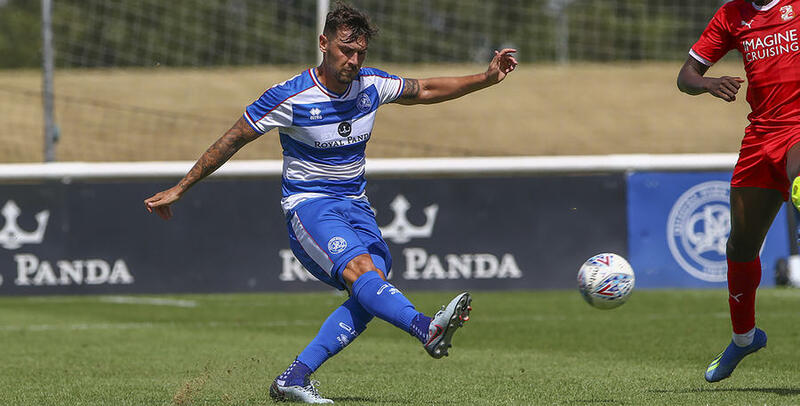 QPR: Lumley, Hamalainen, Owens (Fox, 60), Hall (Trialist, 46), Wszolek, Manning (Wheeler, 50), Cousins (Bansal-McNulty), Chair (Dalling, 60), Smyth (Bettache, 60), Sylla (Mesias, 60), Washington (Oteh, 60). 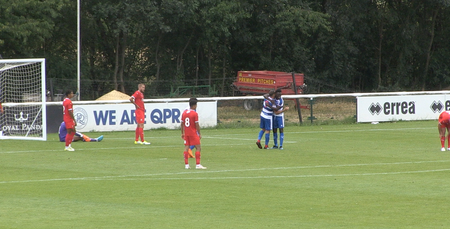 GOALS from Paul Smyth, Idrissa Sylla and David Wheeler sealed a 3-2 win for QPR against Swindon Town in a behind closed doors friendly at Harlington on Tuesday afternoon.